Whether you admit it or not, everyone's got a fantasy of being a ninja. Who wouldn't want to be the one with the coolest moves and weapons right? Well this time you have the chance to become a ninja in your own geeky way. 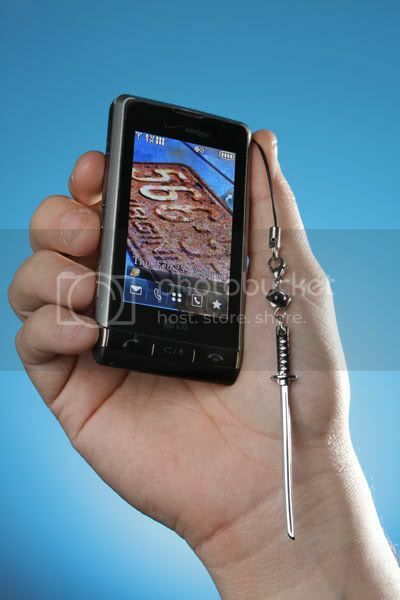 Though not a full sized one with these mini ninja weapons cellphone charms. Just make sure nobody's around when you try to act like a ninja. Or else you might kill someone just by sheer dorkyness. I'm sure somebody here in the Philippines is already selling these but just in case you want to go all out and buy it online you can grab each for about $6 USD from ThinkGeek. We have more bits of information after the break in case you're still interested. 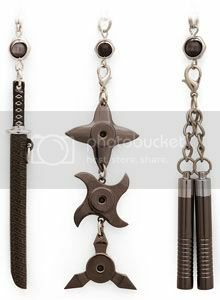 Tiny versions of the ninja's favorite weapons.